Tyke is a very exciting division with lots of changes. This division is for ages 9-11. In this division most of the rules of baseball come into affect, including pitching and stealing. Most of the kids at this age have a good understanding of the game of baseball, from playing the game and/or watching it. The players begin to find out which positions are best suited for them. 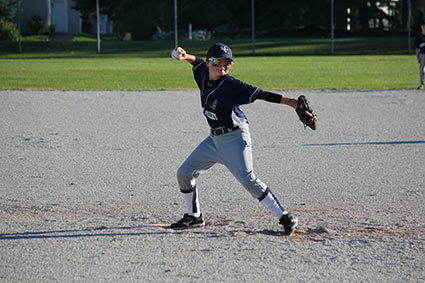 Pitching becomes a big part of the game and the players start to hone their throwing/pitching skills. In this division the game lasts for six innings or a two hour time limit, whichever comes first. Practices begin in April or May, when the weather permits and games start at the end of May. The regular season runs through July, with an end of season tournament at the end of July or the beginning of August.